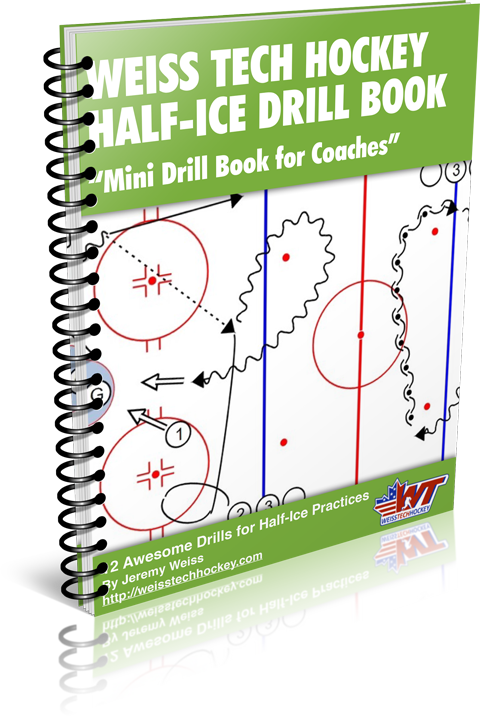 The Michigan Tech 1 on 1 Drill is fantastic for working gap control, passing, agility skating, and many other skills! This is one of my favorite 1 on 1 drills because you can use it to work on so many different skills. Make sure your forwards swing fairly deep into the zone to receive the breakout pass. 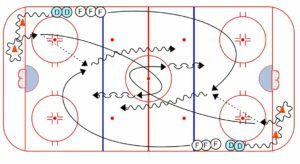 This will allow the opposing defenseman time to close the gap properly and play the 1 on 1 the way he or she should in a game. 5. Coach can blow the whistle multiple times during the same turn. 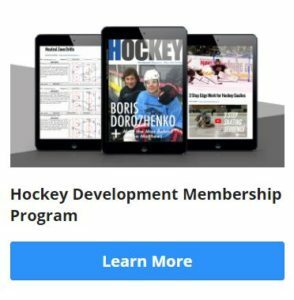 Defensemen must continue to close the gap with each switch.